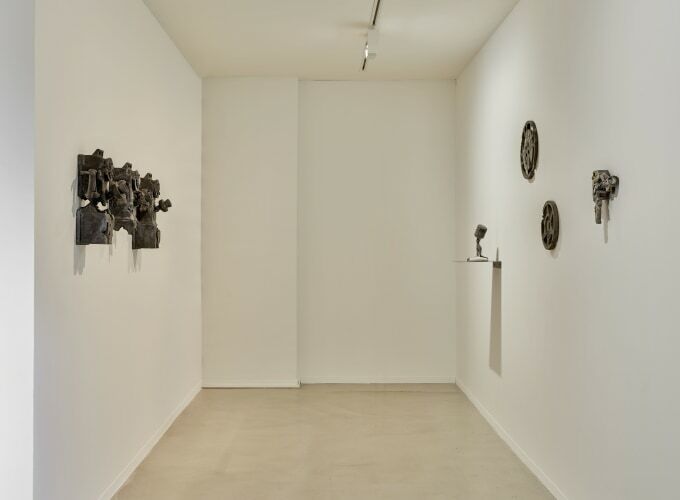 Daniel Arsham Static Mythologies 12 January – 16 March Galerie Ron Mandos proudly presents Static Mythologies, an exhibition with new works by Daniel Arsham. 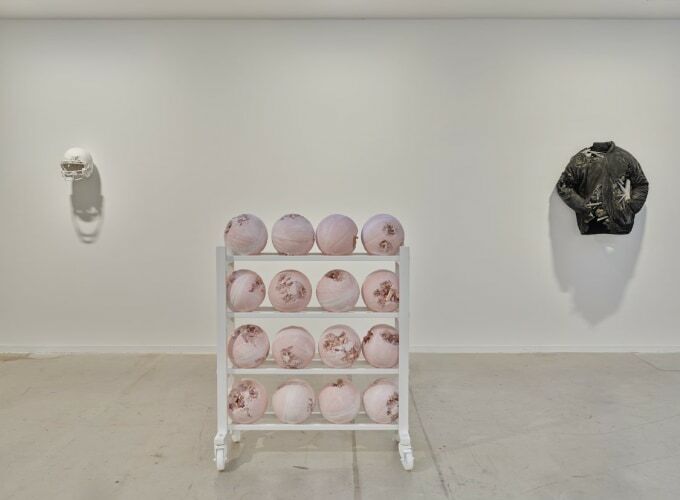 The artist is well-known for his ‘fictional archaeology’: sculptures depicting iconic cultural objects from our age, turned into relics by the artist who casts them in geological substances such as volcanic ash, rose quartz, obsidian and glacial rock. With their eroded, fossilized look, the works have been referred to as ‘catalysts for the 21st century mind to travel backwards and forwards at once’. The artists draws inspiration from his childhood memories, American pop culture, his research at NASA laboratories and his visits to the Hellenic wing of the Metropolitan Museum. 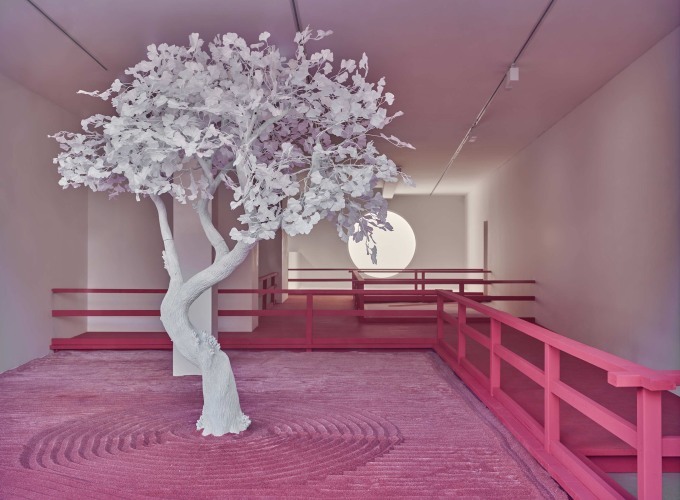 Artist Marc Quinn described Ashrams works as follows: ‘Like looking at our own culture through a million years telescope […] He gives us the macabre thrill of seeing our culture how others might see it centuries from now.’ The immersive installation Lunar Garden, one of Arsham’s signature architectural interventions, will see its European premier at Galerie Ron Mandos. 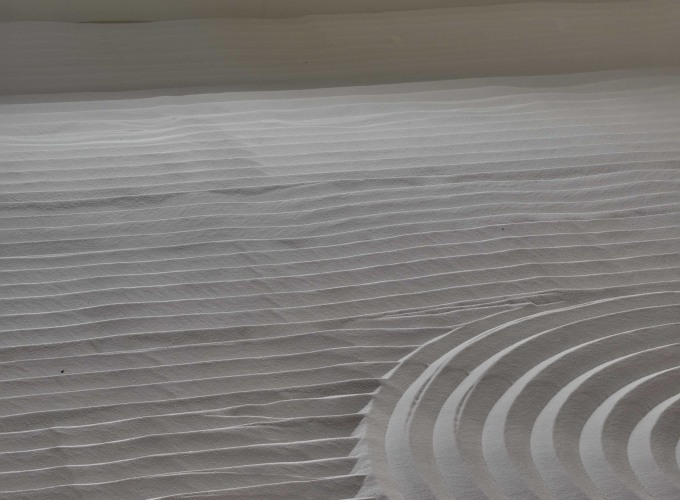 The artist was inspired by his visits to Kyoto’s famous karesansui, or Zen gardens. ‘Whenever I visit them, they look as if time hasn’t passed. But in fact they are heavily maintained by the monks. In my works, too, this balance between permanence and impermanence is very important’. 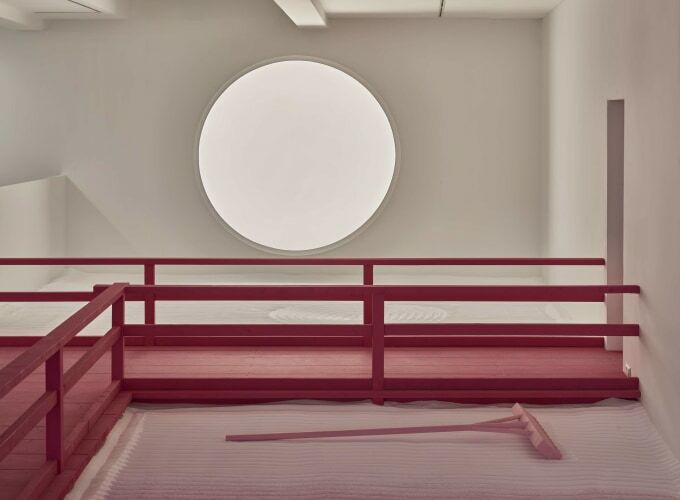 The artist views Lunar Garden as an ethereal space to think about the passing of time, which is a concept central to all of his works. For his eroded sculptures he carefully selects items that speak to a broad audience, such as magazine covers and objects used in popular sports. New to Arsham’s vocabulary of forms are his wrapped sculptures. These works refer to an art historical context: they are reminiscent of the wet drapery technique in Ancient Greek sculpture, but also of Christo and Jeanne-Claude’s iconic wrapped sculptures. The wrapping of objects was also used by Surrealists such as Man Ray, whose L'Enigme d'Isidore Ducasse (1920) inspired Arsham to apply concealing as a means to reveal an uncanny state within the object. About the artist Daniel Arsham (US, 1980) is based in New York. He straddles the line between art, architecture and performance. 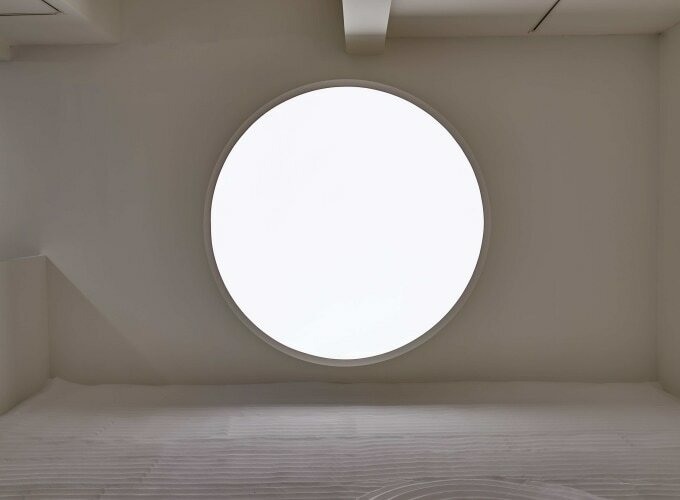 As one of the founders of the seminal Miami artist-run spaces ‘The House’, he is interested in collaboration: he has worked with people such as legendary choreographer Merce Cunningham and musician Pharrell Williams. 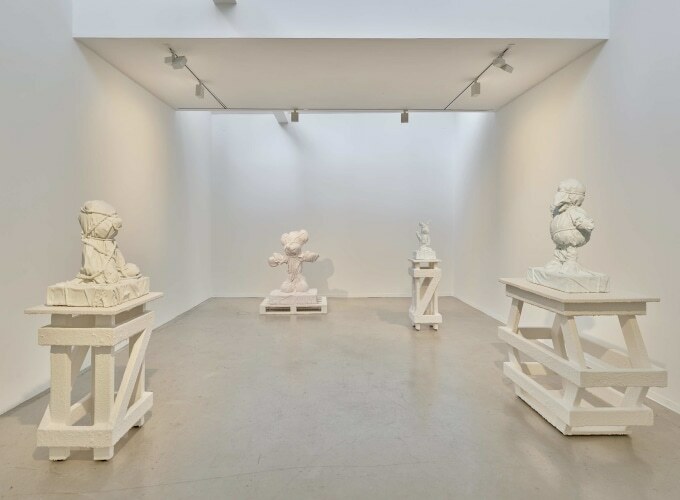 Arsham’s works have been shown at institutions such as The New Museum, New York, US; High Museum of Art, Atlanta, US; PS1, New York, US; The Museum of Contemporary Art Miami, US and VDNH Moscow, RU. Works by the artist can be found in the collections of Pérez Art Museum, Miami, US; DIOR Collection, Paris, FR; The Walker Art Center, Minneapolis, US and the Centre Pompidou, Paris, FR. Rizzoli has recently published a comprehensive monograph of Arsham’s work. 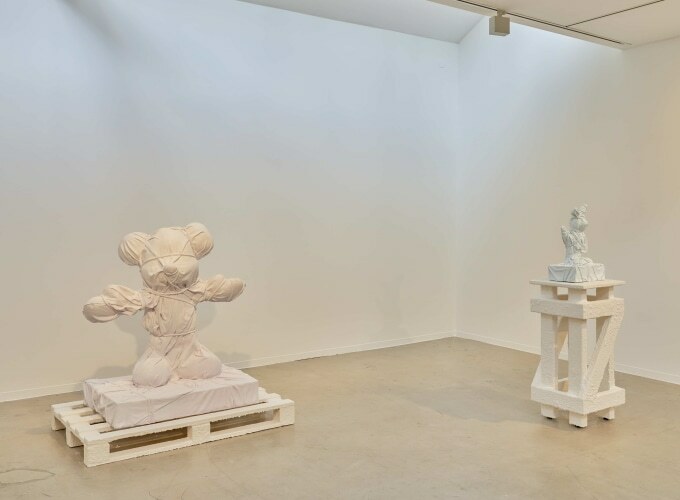 Static Mythologies coincides with Daniel Arsham’s exhibition Connecting Time (18 January – 30 September) at Moco Museum, Amsterdam, co-created with the artist in collaboration with Galerie Ron Mandos and Perrotin.